Welcome to the website for Dave McIntosh Concerts! Dave presents inspirational concerts of contemporary and traditional music. The motivation for his music and ministry is to share in the joy of life “in concert” with our Maker, Redeemer and Friend. 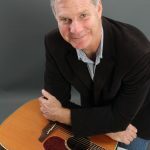 Dave McIntosh is a composer, instrumentalist, and singer, performing his original songs and other contemporary and traditional music on acoustic and electric guitars, piano, keyboard, and bass. His styles include folk, rock, contemporary praise and worship, traditional ballads, and hymns. Dave’s purpose in music is to share the experience that has changed his life forever, coming to Jesus Christ by faith and the joy of life with Him. His desire is to tell others through songs and testimony how Christ became the answer to his search for purpose, his source of peace, the end of his discontent, and the giver of eternal life. Dave and 4 friends formed Narrow Road in 2016 to perform original compositions, classic Christian songs and worship music. The group consists of Bob Wescott on drums, Larry Holland on bass, Suzanne Manganelli vocals/percussion, Bob Roland on guitar, and Dave McIntosh on guitar, keyboards, vocals. The band performs many of Dave’s original songs featured on this website and on his CD’s. Narrow Road performs throughout the Northeast. Contact us through this website!